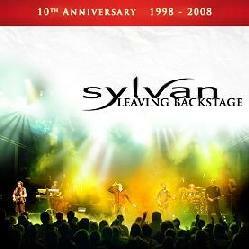 Sylvan - "Leaving Backstage" / "Posthumous Silence"
This is quite an impressive package. 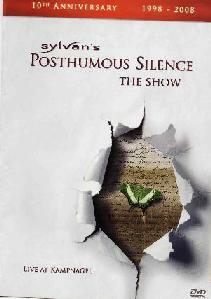 The DVD was recorded in Sept 2007 as the band performs their complete story, Posthumous Silence live. The DVD also includes a lot of extra material about the making of the record, an unreleased track, interviews, complete translation of the lyrics and more. The DVD is also mixed in 5.1 with a quite impressive and huge sound. The start of the DVD is awesome with a huge transparent screen at the front of the stage that they project onto as the show begins. The band actually plays behind this semi-transparent screen while they project images on the screen for the first part of the show. The music is always melodic but also some heavy metal like riffs in the music but often very commercial prog rock. Great musicians and well crafted songs. If you are a fan of this German band already you will not be disappointed with the DVD. The Leaving Backstage is a double live CD to celebrate the bands 10th year and the first CD is the audio of the DVD and the second CD is the rest of the concert that the band played on that night. It appears to be like a greatest hits of the bands more pop material except the 18 minute closing piece, Artificial Paradise. If you like this band already, you can't go wrong. If you are fans of melodic and poppy prog like music, then check these guys out.